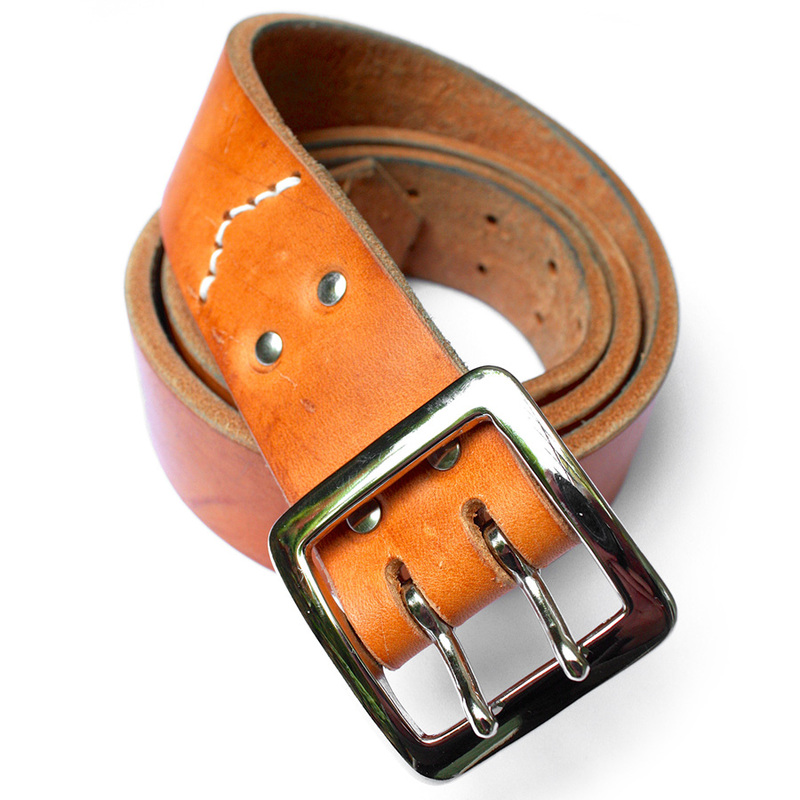 Like my other belts this belt is made with thick sturdy bridal leather, up to 7mm thick. 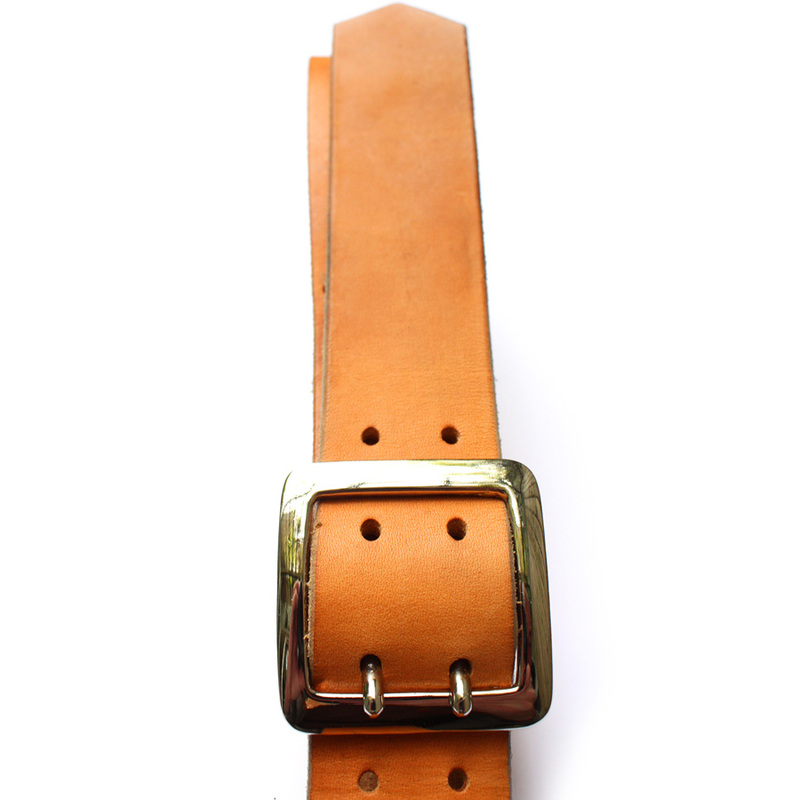 But the premium belt features a premium buckle sourced from a single supplier in Japan. 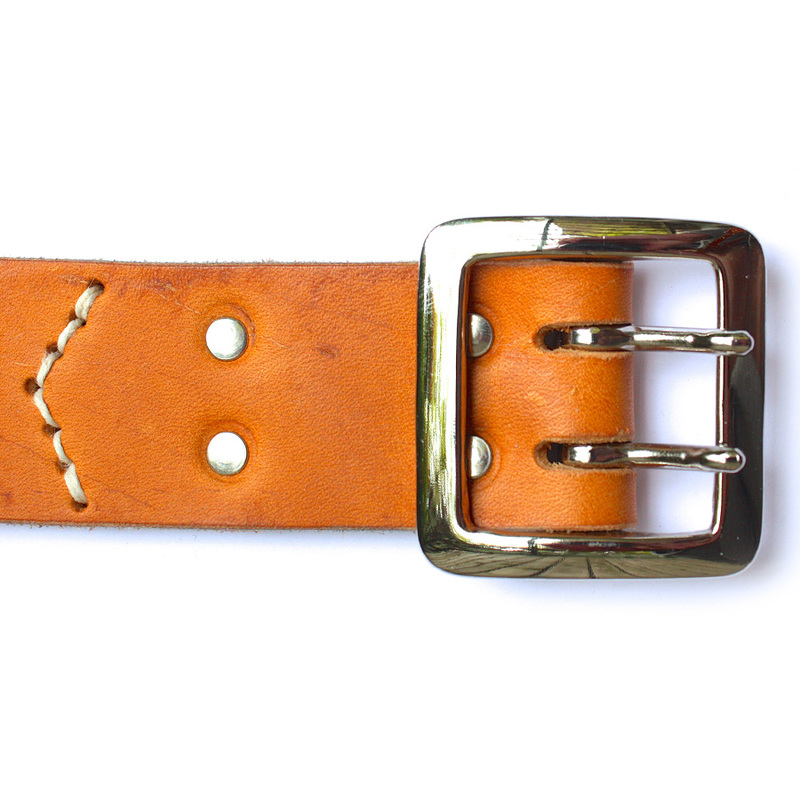 The belt featured has a nickel finish double prong buckle but they are also available in brass or with a single prong. Each belt buckle is specially ordered for each commission. Pictured here in tan, also available in deep tan and rich dark brown hide.